The movement of freight and the manner in which it moves has changed dramatically in the last twenty years. With that change comes a much more complex and diverse supply chain to provide businesses and consumers access to goods and services produced around the world. A key to making the world economy function, and run smoothly, is the supply chain that supports it. From the Freight Forwarders and 3PL Providers to the local trucking and cartage providers in every city around the world, they all play a critical role in keeping “The World Economy” moving forward. What is a 3PL (Third Party Logistics)? Coupled with freight management tools like Warehouse Management Software (WMS) and Transportation Management Software (TMS) to manage inventory, receipts and shipments, the 3PL provides complete visibility of the shipping process. 3PL’s work closely with Freight Forwarders as the initial stop for inbound product, whether that product is Domestic or International. By utilizing a 3PL, manufacturers, and product owners are able to position their product in strategic locations around the world to reach their customers in a much more cost-efficient and timelier manner. Freight Forwarding is the coordination and shipment of goods from one place to another, and yes, that is the clinical version. One of the key pieces of this coordination is a Freight Forwarder. Think of a Freight Forwarder as a travel agent for freight. Most Freight Forwarders have offices and/or agents strategically located around the world to collect and receive freight and make the arrangements for travel. 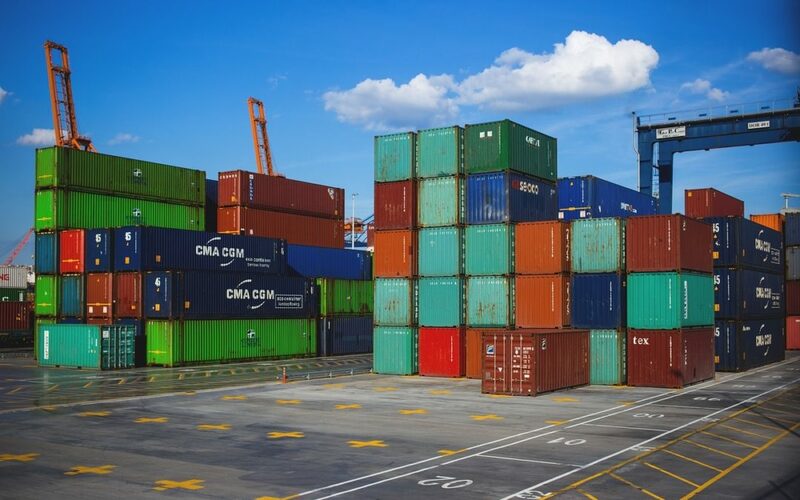 If you plan on exporting or importing your product, you will need the help of a professional to navigate the laws and regulations of the respective countries, this is one of the areas an international freight forwarder plays a key role. This includes knowing and understanding local laws and regulations concerning Import/Export freight. Not only do Freight Forwarders have the knowledge and the carrier base to move your freight, they also have the necessary licenses to do so. When moving freight by air you must use a forwarder with an Indirect Air Carrier (IAC) designation. This license and training is required before you can put any freight on an airline. Working with the right Freight Forwarder is a key step to providing your company access to the “World Economy”. One of the biggest changes in the last twenty years is the relationship between the Freight Forwarder and the 3PL provider. Twenty years ago freight would typically travel to a company owned brick and mortar location. Not anymore, now 3PL’s give manufacturers and product owner presence anywhere in the world without having to pay for and maintain costly operations of their own. As the World Economy grows beyond the borders of state and country, it is critical for these two links in the supply chain to work together. When looking at the supply chain, the first and last link in the chain is the local transportation, and for the customer, the most visible. The company you use for these local moves may be the difference between retaining a great customer or losing them to competition that has a local agent that provides better service and is more dependable. Local transportation consists of many variables depending on the method that is used to move freight into or out of the local market. Too often we see a tremendous effort along the supply chain from origin to destination, to see the last link in the chain, the local carrier fail to deliver the goods on time or in good condition. All of the hard work and effort that went into handling this customer’s goods has now been lost and unfortunately will be the only thing remembered by the customer at the end of the day. It is hard to place a numeric value on what it means to work with a dedicated and dependable local transportation company, however the simplest way to think about it is a happy customer is a repeat customer, and that speaks right to the bottom line. When the Origin, Shipper or Consignee has limited facility space or is working on a large order, they often need a secure warehouse solution to help them hold and consolidate shipments prior to or after travel. Often this work is handled by the 3PL or Local Transportation provider, and if you are lucky, that company is one in the same. The old model of manufacturers and product owners maintaining not only manufacturing space, but vast amounts of warehouse space to handle the ebbs and flows of their business is changing to a model of maximizing existing space for production and outsourcing the storage of product and materials to a local 3PL or warehouse provider. By making the space they have work for them better by adding more production, as opposed to the handling and storage of raw and finished goods, it is often a much more cost-effective option, one that they would utilize with the right local partner. A local 3PL or warehouse provider should be able to provide the following. By having a good local transportation provider that can offer the supporting warehouse operations, you can put yourself in a position to say yes to more opportunities and increase your sales pipeline, and ultimately your bottom line. All of this points to how important each link in the supply chain is to the movement of freight, and how important it is to select the right local Transportation, 3PL and warehouse provider. This decision can be the difference between maintaining and growing existing business or losing an important account that could have a ripple across all markets you serve. If you are a Freight Forwarder or Manufacturer that values the highest level in service and customer satisfaction contact us, Bridgetown Trucking is here to “Provide Solutions” to you and your customers.